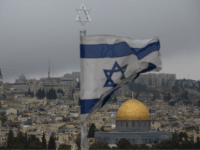 Jerusalem — Israeli forces arrested overnight a Palestinian accused of shooting dead two soldiers in the occupied West Bank last month and involvement in another attack that caused a baby’s death, authorities said Tuesday. 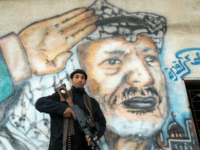 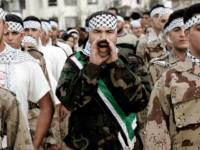 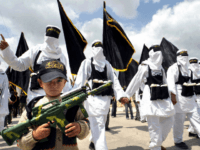 JERUSALEM – Fatah celebrated the anniversary since its founding with a procession in Ramallah last week in which masked men sang a chant calling for its members to “blow up” Israelis. 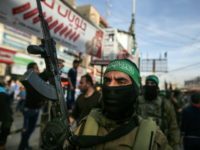 TEL AVIV – Senior Palestinian Authority officials said they believe the mastermind behind last week’s terror attacks against Israelis in the West Bank is a Hamas terrorist who was released from an Israeli jail in 2011 as part of a prisoner exchange deal for captured IDF soldier Gilad Shalit. 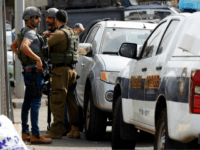 RAMALLAH, West Bank — The Palestinian Health Ministry says Israeli forces shot and killed a Palestinian man who Israeli police say attempted to ram his car into Israeli forces. 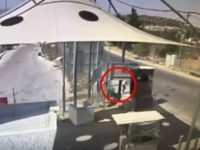 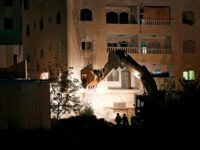 TEL AVIV – The chief rabbi of Jerusalem approved the burial of a Palestinian Muslim in a Jewish cemetery after Imams refused to bury him over suspicions that he sold real estate to Jews, a capital offense in Palestinian society. 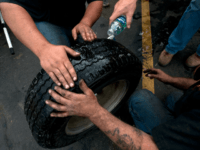 RAMALLAH, West Bank — A local Palestinian police chief has been suspended for helping Israeli soldiers fix a flat tire in the West Bank. 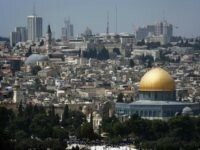 A senior Egyptian delegation is scheduled to visit Ramallah on Thursday in a last-ditch effort to avert a military confrontation in the Gaza Strip and end the Hamas-Fatah rift. 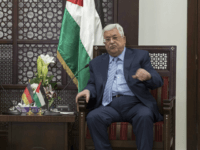 Hamas officials have accused Palestinian Authority President Mahmoud Abbas of thwarting regional and international efforts to achieve a truce between the Gaza-based Palestinian terrorist groups and Israel. 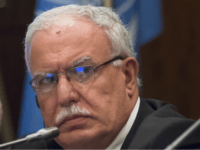 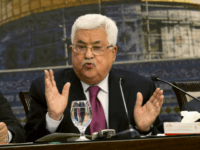 TEL AVIV – The Palestinian Authority reiterated its pledge on Monday to continue its so-called “pay-for-slay” scheme rewarding terrorists and their families with monthly stipends. 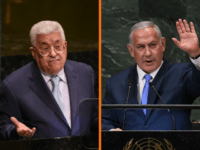 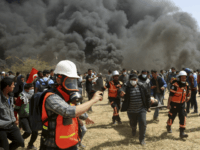 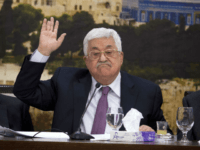 TEL AVIV – The Palestinian Authority has greenlighted mass protests in the West Bank against President Donald Trump’s soon-to-be-unveiled peace proposal. 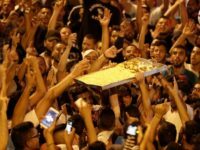 RAMALLAH — Hundreds of Palestinians demonstrated Saturday in the West Bank to demand the Palestinian Authority lift punitive measures against the Hamas-run Gaza Strip. 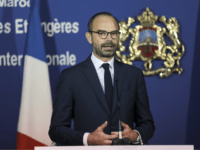 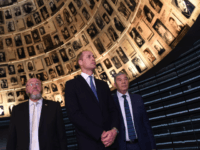 Paris – France’s Prime Minister Edouard Philippe has cancelled a planned trip to Israel early next month, citing “domestic agenda reasons”, his office said on Wednesday. 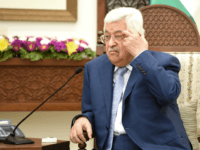 JERUSALEM — The Palestinian president’s condition has seen a “clear improvement” after he was taken to hospital with a fever, an Arab lawmaker in Israel’s parliament with close ties to Mahmoud Abbas said on Monday. 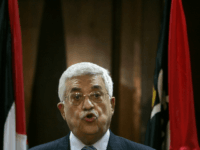 The Palestinians will not allow US President Donald Trump or anyone else to say that Jerusalem is the capital of Israel, Palestinian Authority President Mahmoud Abbas said on Saturday.